Paradise City Arts Festivals promotes high-end fine and functional art shows four times per year. The company did a great job with email marketing before and during the shows but needed a new campaign to keep their brand top of mind between shows. The Post Group developed an email newsletter and corresponding micro-site that profiles exceptional artists each month and keeps Paradise City Arts fresh in the minds of customers and prospects throughout the year. Paradise City attendees love to learn about how and why an artist creates. Artist/collector conversations are often what closes a sale for an artist at the show. 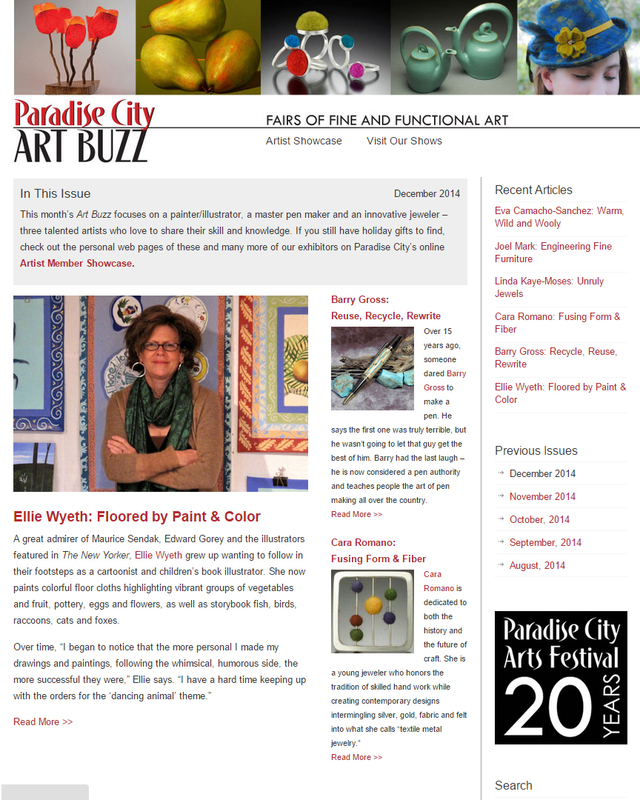 Paradise City Arts wanted to publish in-depth artist profiles throughout the year to spur show attendance and increase artist sales. The Post Group created the process for surveying artists, gathering profile content and writing profiles. 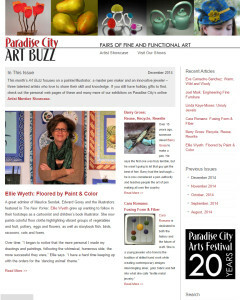 We created the Paradise City Arts Buzz micro-site in WordPress to host the articles and serve as an archive for previous issues. In collaboration with Paradise City’s in-house designer, we developed a newsletter sent out via VerticalResponse, which drives traffic to the micro-site. The “Art Buzz” newsletter is now sent monthly to a mail list of 38,000, resulting in strong open and click-through rates, higher attendance at the shows and increased artist visibility.